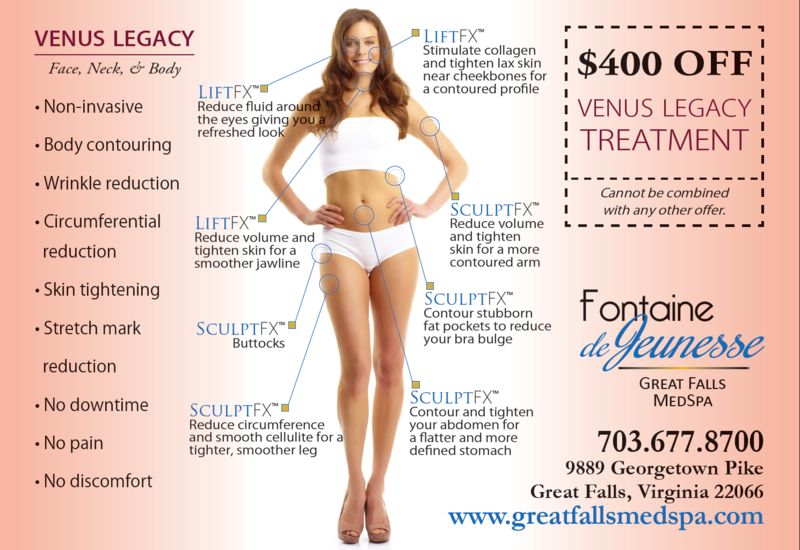 Your one stop solution for Beauty in Great Falls! All available as Gift Cards! An escape from the everyday, Fontaine de Jeunesse provides a place where family and friends can gather and strengthen. Bring a loved one, or several, and make a day out of restoring the body and mind together. Fontaine de Jeunesse only accepts a small number of clients at a time, providing a nuturing setting to strengthen old bonds and form new. Host private parties, or simply treat your daughter, mother, husband or wife to the nuturing they deserve. Fontaine de Jeunesse provides a place of rest, as well as rejuvenation. Wait for your services in private relaxation rooms, and then unwind with our personalized theraupetic oil massages. Choose from a list of services, including therapeutic massages and facials, nutritionist with detox diets and coaching to address all forms of accumulated stress on both body and mind. Recapture vigor of mind and body with our highly trained specialists. Take advantage of our expert nurses and our anti-aging technologies: MicroPen, Venus Legacy and Venus Freeze treatments to freeze time reversing aging through a thermal magnetic rejuvenation to revitalize skin by skin tightening, wrinkle and cellulite reduction, body contouring which recaptures a more youthful look. Allow our dentistry team to uncover your whitest, brightest smile. Discover a sense of newness with our wide variety of services. Uncover your inner beauty more spectacularly with our highly specialized nurses and dentist. Recover from the stress of the everyday with our skilled facialists and masseuses. Restore a weary body and recover from the stress of the everyday with our skilled masseuses. Revive your body with the help of our nutritionist and personal coaching who will customize a regimen to best fit your needs. Click the Ad below to Enlarge!